Qu Jiang that rises in Gutai moutain Xinhua County Hunan Province and flows eastward through Fengjia, Tianmen, Changfeng, etc. Fengjia, most of the residents of this place are named Feng, is famous for producing good tea in history. Qu Jiang Bao Pian is one of the famous tea in Tang dynasty, the production of recorded time until the song dynasty, has more than 500 years tribute tea history. The researcher looked through the ancient books and records, visited folk, finally reinvent the technique, let this ancient process on the verge of extinction can be continued and developed. 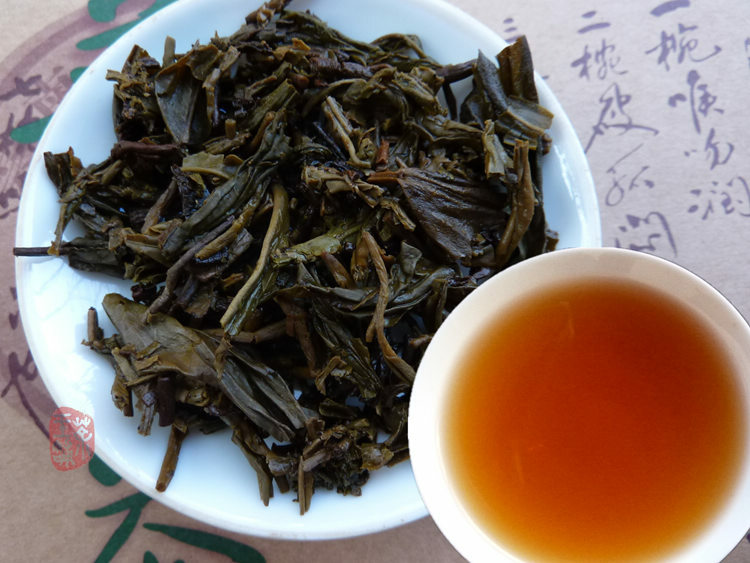 Taking high mountain tea from Fengjia and Tianmen as raw materials, using the "two steamed two refrigerated cold fermented" new technology to get rid of the oxidized scent. 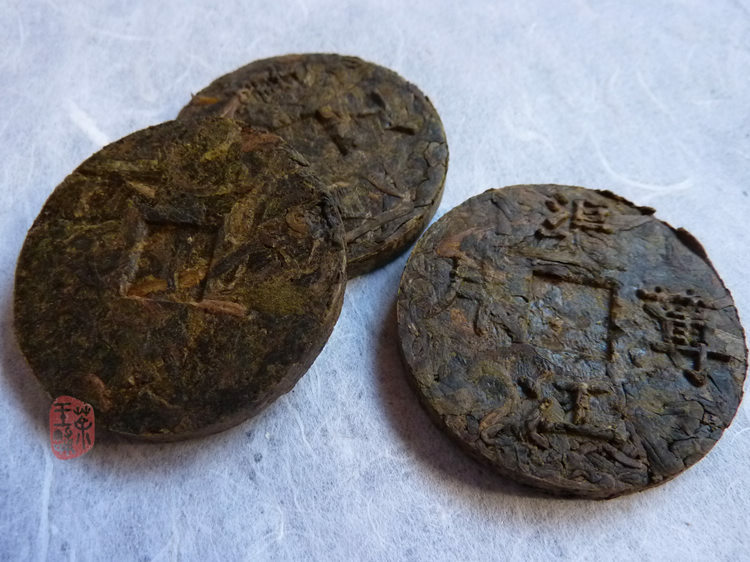 "Qu Jiang Bao Pian looks like a coin, has iron color and very aromatic." - MaoWenXi, 毛文锡(Tang And Wu-dai). 《茶谱》(Tea Reference Book). It's not bitter or astringent, highly pleasing to the taste. After two years aging, the taste is mellower and more satisfactory.